In Load Balancing with NGINX and NGINX Plus, Part 1, we set up a simple HTTP proxy to load balance traffic across several web servers. In this article, we’ll look at additional features, some of them available in NGINX Plus: performance optimization with keepalives, health checks, session persistence, redirects, and content rewriting. 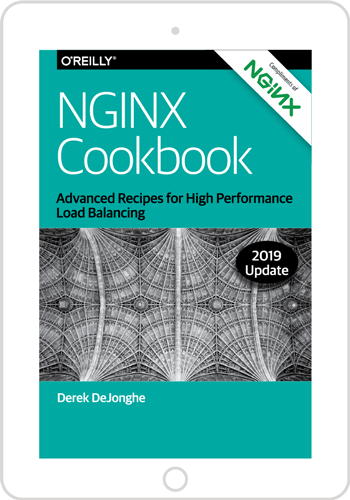 For details of the load‑balancing features in NGINX and NGINX Plus, check out the NGINX Plus Admin Guide. Editor – NGINX Plus Release 5 and later can also load balance TCP-based applications. TCP load balancing was significantly extended in Release 6 by the addition of health checks, dynamic reconfiguration, SSL termination, and more. In NGINX Plus Release 7 and later, the TCP load balancer has full feature parity with the HTTP load balancer. Support for UDP load balancing was introduced in Release 9. You configure TCP and UDP load balancing in the stream context instead of the http context. The available directives and parameters differ somewhat because of inherent differences between HTTP and TCP/UDP; for details, see the documentation for the HTTP and TCP/UDP Upstream modules. In this article, we’ll look at a few simple ways to configure NGINX and NGINX Plus that improve the effectiveness of load balancing. Enabling HTTP keepalives between NGINX or NGINX Plus and the upstream servers improves performance (by reducing latency) and reduces the likelihood that NGINX runs out of ephemeral ports. NGINX maintains a “cache” of keepalive connections – a set of idle keepalive connections to the upstream servers – and when it needs to forward a request to an upstream, it uses an already established keepalive connection from the cache rather than creating a new TCP connection. This reduces the latency for transactions between NGINX and the upstream servers and reduces the rate at which ephemeral ports are used, so NGINX is able to absorb and load balance large volumes of traffic. With a large spike of traffic, the cache can be emptied and in that case NGINX establishes new HTTP connections to the upstream servers. With other load‑balancing tools, this technique is sometimes called multiplexing, connection pooling, connection reuse, or OneConnect. Enabling health checks increases the reliability of your load‑balanced service, reduces the likelihood of end users seeing error messages, and can also facilitate common maintenance operations. The health check inherits some parameters from its parent location block. This can cause problems if you use runtime variables in your configuration. For example, the following configuration works for real HTTP traffic because it extracts the value of the Host header from the client request. It probably does not work for the synthetic transactions that the health check uses because the Host header is not set for them, meaning no Host header is used in the synthetic transaction. For more information, check out the NGINX Plus Admin Guide. With session persistence, applications that cannot be deployed in a cluster can be load balanced and scaled reliably. Applications that store and replicate session state operate more efficiently and end user performance improves. Certain applications sometimes store state information on the upstream servers, for example when a user places an item in a virtual shopping cart or edits an uploaded image. In these cases, you might want to direct all subsequent requests from that user to the same server. If the session persistence decision fails because the target server is not available, then NGINX Plus makes a load‑balancing decision. Rewrite HTTP redirects if some redirects are broken, and particularly if you find you are redirected from the proxy to the real upstream server. When you proxy to an upstream server, the server publishes the application on a local address, but you access the application through a different address – the address of the proxy. These addresses typically resolve to domain names, and problems can arise if the server and the proxy have different domains. For example, in a testing environment, you might address your proxy directly (by IP address) or as localhost. However, the upstream server might listen on a real domain name (such as www.nginx.com). When the upstream server issues a redirect message (using a 3xx status and Location header, or using a Refresh header), the message might include the server’s real domain. Sometimes you need to rewrite the content in an HTTP response. Perhaps, as in the example above, the response contains absolute links that refer to a server other than the proxy. Here’s a template for a load‑balancing configuration that employs all of the techniques discussed in this article. The advanced features available in NGINX Plus are highlighted in orange. Try out all the great load‑balancing features in NGINX Plus for yourself – start your free 30-day trial today or contact us to discuss your use cases.